Celebrity Big Brother is back and if you want to know how you can watch it abroad this is the guide for you. In this guide I’m going to show you how you can watch Celebrity Big Brother abroad from anywhere in the world. Big Brother is great but Celebrity Big Brother is even more interesting. For the past few years, it has been shown on Channel 5 / 5 Star and at the same time on their My5 service. If you try to access the My5 website to watch Celebrity Big Brother abroad then you’ll be hit with a block notice that tells you it’s not available. It’s only available to UK viewers. To watch Celebrity Big Brother abroad you’ll need to unblock My5 and to do this you’ll need a VPN app from a provider such as ExpressVPN. Below I’ll explain how to get one and how to use it to watch. To watch Celebrity Big Brother abroad you’ll need to get yourself a VPN service. This comes in the form of an app you download for your phone, tablet, computer or many other types of devices. There are hundreds of companies out there offering VPN services but I recommend you use ExpressVPN. They’ve got a 30-day money back guarantee so if you can’t get it working then you’re covered and can simply get a refund. Simply select one of the three above and then follow the steps below to watch Celebrity Big Brother abroad. It doesn’t matter too much which you end up choosing but I recommend ExpressVPN and will be using them as my example below. Visit the ExpressVPN website, choose a subscription length and sign up for their service. Once you’ve signed up go to the ‘Products’ section of their website and download the correct app for your device. You can also install the ‘ExpressVPN’ app directly from your app store. Open the app and activate or login when required with your account details. Select ‘Choose Location‘ and then press ‘United Kingdom‘. The app should automatically connect for you but if it doesn’t press the ‘Connect’ button. Once the app has connected visit the My5 website or open the My5 app. You’ll now be able to watch Celebrity Big Brother abroad from any country in the world. It doesn’t matter if you’re in Spain or Japan, America or Australia, you can watch from anywhere you can get an internet connection. Celebrity Big Brother typically runs for about 1-month so you’ll only need a 1-month subscription to the VPN service although it can overrun a little. If you want to watch other shows on My5 or channels from the UK like BBC iPlayer then it’s definitely worth signing up for a longer period of time because you can make bigger savings. For example, ExpressVPN will give you 3-months free on their annual package which can save you up to 49% off paying monthly. What types of devices can I watch CBB on? VPN services work with almost all major devices. It often depends on which VPN service you sign up for. My three suggested providers, ExpressVPN, IPVanish and NordVPN all work on Android and Apple iOS devices such as the iPhone and iPad. So if you’ve got almost any type of phone or tablet it’ll work. They also work on regular computers and laptops running Windows or Mac OS. Additionally, both ExpressVPN and IPVanish work with the Amazon Fire TV and Fire Stick. If you want to watch Celebrity Big Brother on either of these devices then you’ll need a UK Amazon Fire TV or Fire Stick. This is useful if you’re going from the UK to another country for a long period of time and take your Amazon device with you. 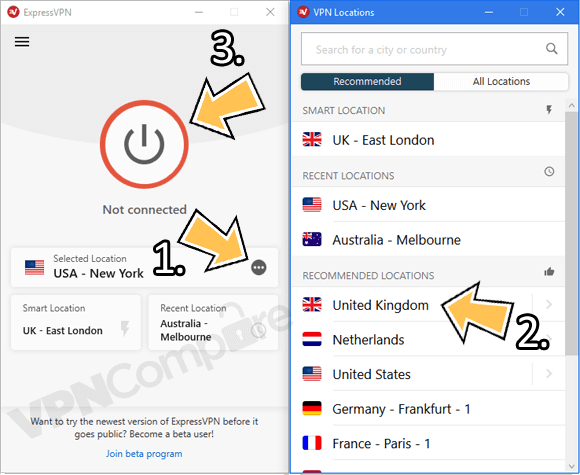 Once you’ve signed up for your chosen VPN service, for example ExpressVPN you can download their Windows or Mac OS software directly from their website. 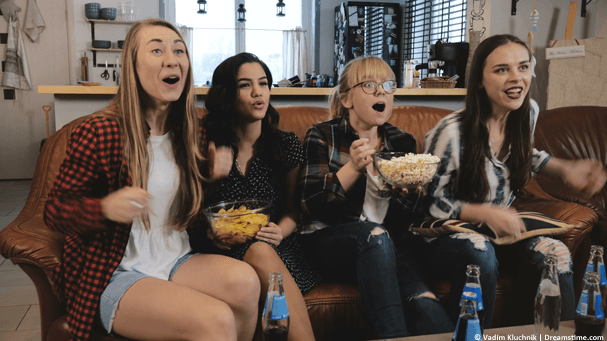 Their Android app can be downloaded from the Google Play Store, their Apple iOS app from the Apple App Store and the Amazon Fire TV or Fire Stick app directly using the search function on your Amazon device. VPNs might sound really sketchy but they’re not actually. In fact, they’re actually completely legal privacy tools that are designed to stop anyone from snooping on what you’re doing on the internet. They disguise what you’re doing on the internet and also allow you to hide your location. If you’re in Australia for example and you connect to the VPN app using their United Kingdom option then any websites you visit or use will think you’re in the UK. Even though in reality you’re in Australia. When you visit the My5 website to watch Celebrity Big Brother it checks your location. If it sees you’re outside the UK then it blocks you. When you’re using a VPN it can’t see you’re outside the UK and so lets you watch Celebrity Big Brother abroad. Don’t worry if you’re still a little confused. It isn’t actually as difficult as it might seem to watch Celebrity Big Brother abroad. You can get a VPN service from ExpressVPN by clicking the button below. Once on the ExpressVPN website sign up for their service. Once you’ve signed up download their app for your device. Open the app and connect to the United Kingdom. You can now visit the My5 website or open the My5 app. Who are you most looking forward to watching this series and where in the world will you be watching from? I would love to know so why not let me know in the comments section below.